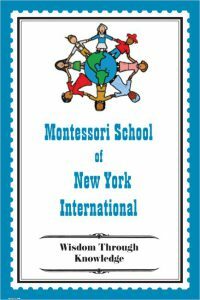 Welcome to The Montessori School of New York International! The Montessori School of New York International offers challenging and rewarding academic programs for pre-school, kindergarten, elementary and junior high school students ages 2 – 14. As an authentic Montessori School, our curriculum and programs are designed to build a strong academic foundation while nurturing the child’s social, emotional, physical and moral development. This approach encourages a child’s independence, self-motivation and decision making skills, helping them to become confident leaders. Excellent record for placement in G & T programs, and Specialized High Schools.